100 years ago, someone named Jack Kirby was born to co-create the world of comic books and superheroes as we know them. 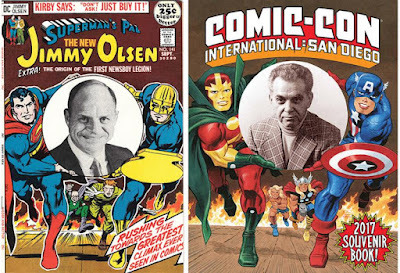 To acknowledge his spirit birthday - and honor another famous comic book cover - Bruce Timm and Todd Klein offer us a Souvenir Book cover that's markedly different from past covers. 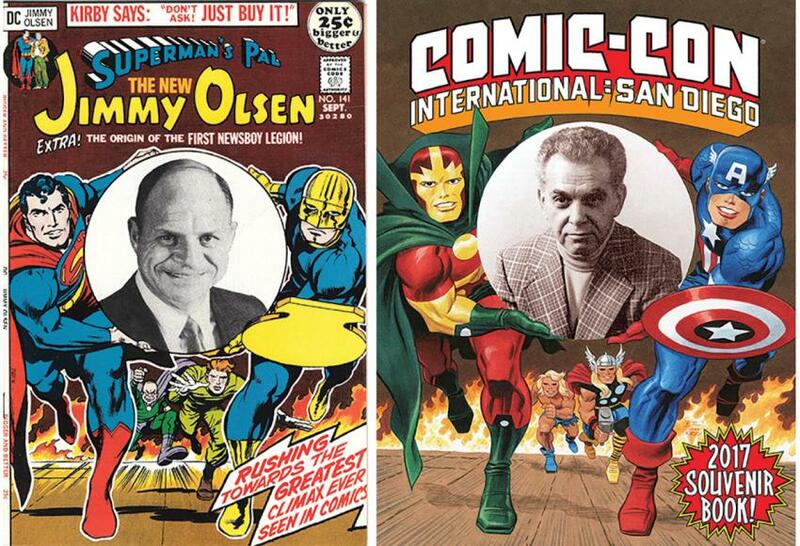 You can see the original cover they drew inspiration from below: #141 Superman's Pal, Jimmy Olsen, on sale for 25 cents! I love old comic books so I'm down with this. What do you think? First-timers, you may be wondering what a Souvenir Book is. The "Souvenir" part sounds a bit frivolous, as if this is just a glossy keepsake, but the annual Souvenir Book is something you'll enjoy reading - full of interesting articles and art. You'll receive your copy when you arrive at the Con. 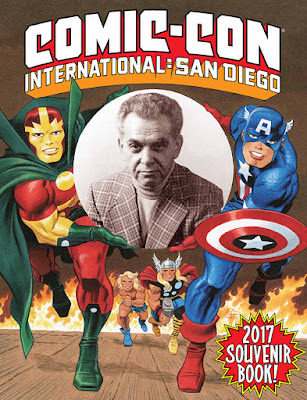 We're finally past the aggravating part of Comic-Con season and into the good part. Can you feel it? I haven't liked the last few covers to be honest. The Jim Lee Batman cover was the last one I thought was strong. My last favorite was the Dave McKean cover.